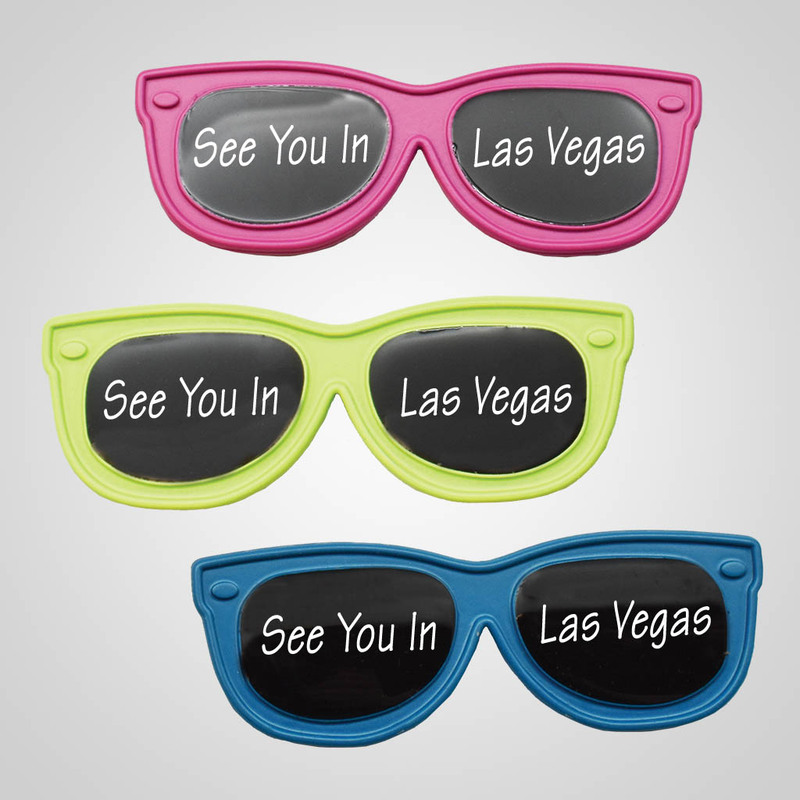 Sunglasses shaped magnet. Metal, 2.8 x 1". 3 assorted colors. Single color jet print.